The Santo Niño icon of Cebu is historically recognized as the oldest religious relic in the Philippines. Itsorigin is traced from the celebrated voyage of Ferdinand Magellan in 1521 which accidentally “discovered” and claimed the islands for the Spanish Monarchy. The historic arrival was purely uncalculated for the fleet did not intend to sail directly to the Philippines. The land of the spices, particularly the highly-contested Moluccas, was the expedition’s targetdestination. The armada reached the islands after it was driven away by strong winds from the original routewhich eventually brought them to the island of Cebu. The preliminary encounters that followed forged conditional alliancesand the accompanying ceremonials took place including the introduction of the Christian faith. Initial attempt to evangelize the indigenous people of Cebu was accomplished with the hasty acceptance of the Christian faith by King Humabon and his subjects numbering around 800. The Santo Niño image was given to Queen Juana upon her ardent wish to have it in place of her local deities. The baptized indigenous people did not flourish in their practice of faith mainly due to the untimely demise of Magellan (including the chaplain Fr. Pedro Valderrama) and the eventual return of the surviving contingent to Spain. Also attributable to the absence of deeper instruction, the baptismal rite was misconstrued by the locals as a customary ritual of friendship rather than a spiritual initiation. After the interruption of forty-four (44) years, the Legazpi-Urdaneta Expedition arrived in Cebu. On April 28, 1565, the dramatic yet providential discovery (pagkakaplag) of the same wooden image in a partially scorched hut started the distinctive Christian heritage of the Philippines. The Augustinians who accompanied the journey commenced the systematic evangelization and Christianization of the islands. The subsequent foundation of the Church and Convent of the Augustinians rose on the actual site where the statuette was found. 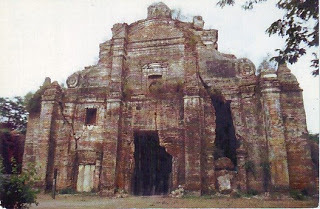 It became the central house of the Augustinians, the mother church in the Philippine Islands. The establishment of organic settlements and mission areas followed instantaneously and the pioneering evangelization gradually prospered in geographical reach and ecclesial organization despite the scarcity of missionaries. Additional religious orders were commissioned to the Philippines in successive intervals: Franciscans (1578), Jesuits (1581), Dominicans (1587), and Augustinian Recollects (1606). Their ground-breaking missionary endeavours contributed to the Philippine identity as a predominantly Christian nation. 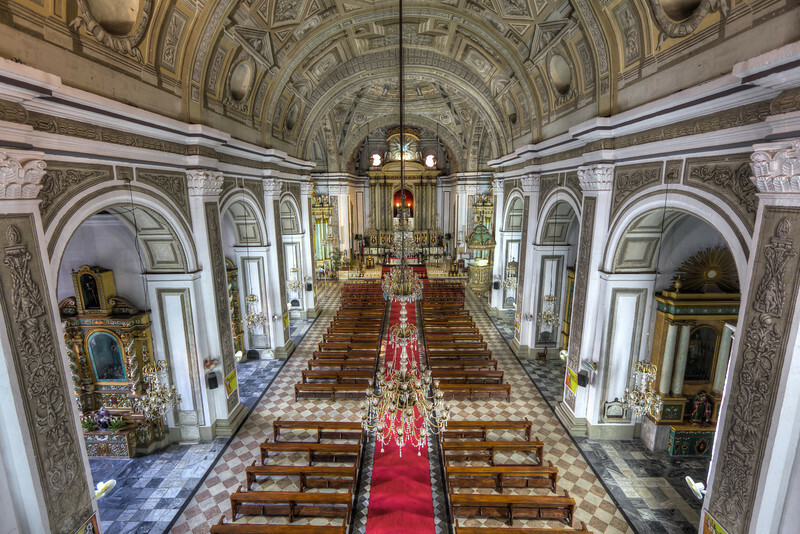 The first Church and Convent dedicated to Santo Niño developed into a principalhouse of the Augustinian friars mainly in the spiritual and missionary formation, and the promotion of the devotion to the Holy Child – theadored patron, protector and inspiration. 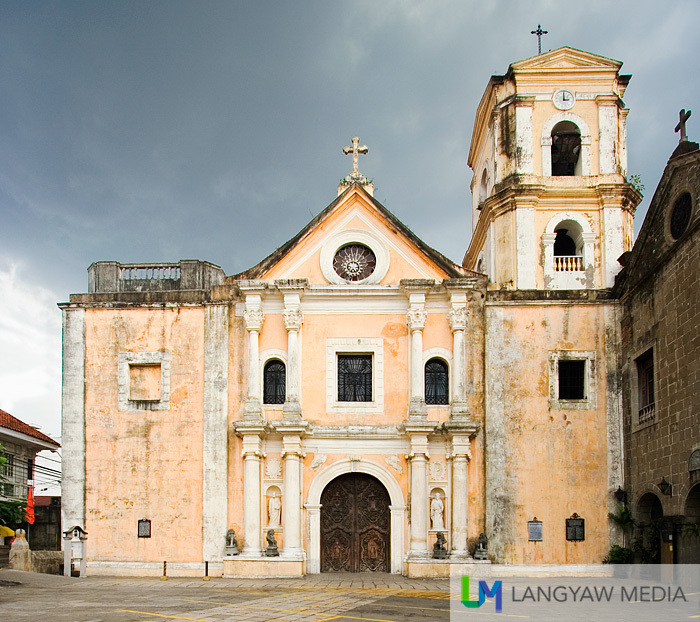 As a consequence, the Santo Niño Church grew in popularity throughout the islands both in magnificence and significance as the cradle of Philippine Christianity, and the perpetual sanctuary of the Santo Niño of Cebu. In recognition of the historical, religious and cultural importance of the Santo Niño Church and the sacred relic it keeps, the Catholic Bishops’ Conference of the Philippines (CBCP) petitioned Pope Paul VI in 1964 to confer on the Santo Niño Church the title “Basilica Minore” in time for the Fourth Centennial of the Christianization of the Philippines in 1965.The Santo Niño icon was also canonically crowned by the Papal LegateIldebrando Cardinal Antoniutti – a solemn gesture of singular honor reserved to the beloved Santo Niño. In its entirety, the Fourth Centennial Celebration overwhelmingly succeeded in engaging the entire nation, thus renewing “The Philippines for Christ” in faith, commitment and enthusiasm to live out the Gospel message. If the greatest missionary work of the Augustinian Order has been displayed in the Philippines, it is because they were the first Catholic missionaries there. Father Andres de Urdaneta and four other Augustinians — Fathers Martín de Rada (b. 1533 – d. 1578), Diego de Herrera, Pedro de Gamboa and Andrés de Aguirre — started a successful apostolate in Cebú as soon as they landed in 1565. Legazpi founded the first Spanish settlement there in a spot where his men had stumbled upon a statue of the Child Jesus in a burnt hut after a skirmish with the native inhabitants to impose Spanish sovereignty. He named the place Villa del Santísimo Nombre de Jésus in honor of the Holy Child. The Spaniards considered it miraculous to have found the statue, a gift from Ferdinand Magellan to the wife of the chieftain of Cebu after her conversion to Catholicism in 1521. Father Urdaneta returned to Mexico and decided to stay after being dissuaded by his family and friends. Meanwhile, hardships brought about by lack of food, harsh living conditions and probing attacks mounted by the Portuguese from the Moluccas forced Legazpi to set sail for Panay island, where he replenished his supplies and planned for a definitive voyage to Luzon that would eventually lead to over 300 years of Spanish colonial rule in the Philippines with the establishment of Manila on June 24, 1571 as the capital of the new Spanish colony. This article appeared in the author’s website mystical.agustinongpinoy.net. In the purpose of collating articles about the Augustinians in the Philippines, this article is re-posted in good faith. No copyright infringement is intended for the duplication of this article. When I was studying Philippine History in high school, I was given the impression that the last hundred years of Spanish regime in the Philippines was characterized by the corruption of Spanish officials and the immorality of the friars. The image of Padre Damaso man handling the brothers Crispin and Basilio and Padre Salvi’s lust for Maria Clara as narrated in Rizal’s Noli Me Tangere is still deeply embedded in my memory. And there was no other textbook in Philippine history that would gainsay the narrations of Gregorio Zaide. The anti-Spanish sentiments which were still alive until the time of Corazon Aquino (remember the much maligned “blue ladies” of Malacañang) is a memorial to the influence of Zaide’s history. But there is a lot to what I learned in high school that will have to change. For the first time, I’ve seen a publication from 1899, written by a Catholic American journalist that challenges the views presented by Zaide in his Philippine History. The article appears in a volume of Catholic World dated June 1899, scanned and submitted for viewing through a web browser at this address. It is written by Bryan J. Clinch who came to the Philippines during the same year of his article’s publication. What is so significant about the article is that he compares the situation of the Catholic Church at the time to conditions in France, and the situation of the Christianization of Philippines to that of Hawaii which was evangelized by Protestants. Apart from these, the article contains “snapshots” of the Philippines around the time when Dewey had entered the ports of Manila, Aguinaldo’s revolutionaries had created their damage among the friars and four hundred friars were awaiting their fate in the jails of the capital. If you have studied the history of the Philippines from Rizal’s death in 1898 to the coming of the Americans, you may have wondered: what was the Philippines like? what were the sentiments of the indios towards the allegedly corrupt and immoral Fray Botod’s of their times? The article of Bryan Clinch may bring up surprises. It was written to correct misconceptions about the way Spain has been running the Philippines and as a reaction to an article about the Philippines that appeared in the New York Herald. I will be presenting here some excerpts. The “swarms of lazy friars” that form a picturesque if rather unkindly feature of so many pen pictures of the Philippines are even more mythical than the exorbitant fees collected by them. We have already mentioned the reason why so many are found at the present moment in Manila, but the official records of both the religious orders and the government, published long before Dewey entered Manila Bay, show that in no Catholic country is the number of priests so small, compared with the population as in the Philippines. The priests are fewer than in almost any diocese in the United States compared with its Catholic population. In 1896 the whole clergy of the islands numbered nineteen hundred and eighty-eight priests between all the orders and the seculars combined. The secular clergy amounted to seven hundred and seventy-three, of whom about one-half were of the native races. These had charge of a population of over eleven hundred thousand. The archdiocese of New York last year had five hundred and ninety-seven priests for less than a million of Cathoics, St. Louis three hundred and eighty-eight for two hundred and twelve thousand and Chicago, four hundred and fifty-nine for over half a million. The secular priests of the Philippines are almost exactly in the same proportion to the population as are the priests in Chicago, which certainly is not the happy hunting ground of swarms of idle clergymen. The whole number in the Philippines, Carolines and Ladrones was only twelve hundred and fifteen, including Jesuit and Dominican professors in the colleges, those in charge of the Manila observatory, and the missionaries among the Mohammedans of Mindanao and the heathens of the Carolines. The latter occupied a hundred and five of the hundred and sixty-seven Jesuits and the otehr sixty-two being in Manila in the usual scholastic work of their order. Two hundred and thirty-three Dominicans supplied the religious needs of three quarters of a million Catholics. That the task was not a nominal one is shown by the registration during the year of forty-one thousand baptisms, eight thousand marriages, and twenty-nine thousand interments with the funeral rites of the church. The Jesuits and Benedictines, besides their literary work, attended to the parish needs of nearly two hundred thousand Christians. One may ask: if the friars were these industrious and generous in their work, why the bad sentiments towards them? But were the friars really hated? Clinch gives us the report of some exiled Augustinians who passed by San Francisco. One would think that these would be embittered, but the tone of the report given is quite different. In order to understand the significance of these figures (the rate of population growth in the Philippines — my note), it should be noted that nearly all the islands of the Pacific, inhabited a hundred years ago by races allied to the native of the Philippines, have been almost depopulated since the appearance of European civilization. Hawaii which received its introduction to civilization under the guidance of American ministers, as the Philippines received it from the much-maligned friars, is a striking example. When Messrs. Bingham and Thurston were entrusted with the destiny of the Hawaiian natives by the widow of Kamehameha I, their first care was to take a census of the people. It gave over a hundred and forty thousand. Sixty years of Protestant civilization and teaching had reduced the number to thirty-eight thousand, with only a couple of thousand American civilizers to take their place. In 1750, the population of the Philippines was given at nine hundred and four thousand exclusive of infants under seven. In 1896 a detailed census gave the number at nearly seven millions who had grown up under the instruction of the Spanish friars and in the Catholic morality taught by them. The Protestant missionary colony in sixty years had, by its own statement, possessed itself of nearly all the land and wealth of Hawaii and it ended its mission by rising in arms and seizing the government on that very plea. At the present moment over four hundred friars in the Philippines are lying in prison in tropical jails, liable at any moment to the death which has already come to more than fifty at the hands of fierce mobs, for the sole reason that these friars are natives of Spain. Yet writers in the American press do not blush to talk of the greed and laziness and immorality of the Spanish friars, even as a Hawaiian missionary in Honolulu reviled the memory of heroic Father Damien, and hinted at personal immorality as the reason of his death in the Molokai leper settlement. One might, after reading the above excerpts think that the article was written by an American Catholic defending other Catholics. But it does put into a different perspective the years surrounding the events of the Philippine Revolution and its aftermath, and challenges the kind of one-sided historical education we have and continue to receive. I also would like to add that Filipino-based Fundamentalists have begun to use the Noli Me Tangere to draw half-cooked Filipino Catholics into their version of the Christian religion, thereby extending — for the purposes of increased revenue for their churches — the miseducation of the Filipino. Read the article from 1899, and judge for yourselves. 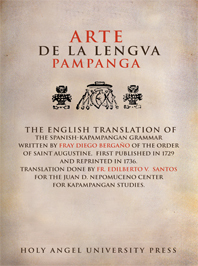 The Augustinians wrote grammars and dictionaries in Tagalong, Capampangan, Ilocano, Hiligaynon and Cebuano as well as doctrinal and devotional books about history, where they recorded the life and traditions of the Filipinos at the arrival of the Spaniards, books about flora and medicinal plants of the land. As part of their social involvement with the people, the Augustinians established the Hospital de Lazaro for lepers in 1814 and the Casa de Asilo in 1860 persons with cholera in the town of Laoag, Ilocos Norte and another Hospital Candaba, Pampanga in 1605. By 1600 this Philippines Province had 50 houses on six Philippine islands. It also established the Hospicio de Santo Tomas de Villanueva in Mexico, where the Philippines-bound Augustinians from Spain awaited a ship across the Pacific to the Philippines. By 1776 the Philippines Province had 28 houses, mainly in the Philippines, and 165 missionary sub-centres called doctrinas. In 1882 there was a great epidemic of cholera in Manila and environs and many people died living many children orphaned. Augustinians built an orphanage in the district of San Marcelino, Manila to give shelter and education to those children. Later the orphaned girls were housed in Mandaluyong under the Augustinians Sisters and the boys, first in the Guadalupe Monastery Makati and in 1890 at Malabon in those days part of Bulacan where Schools of Arts and Trades was established (destroyed in 1899). The Spanish colonizers in the late 16th century not only brought their culture with them but also the seeds of the Catholic faith. 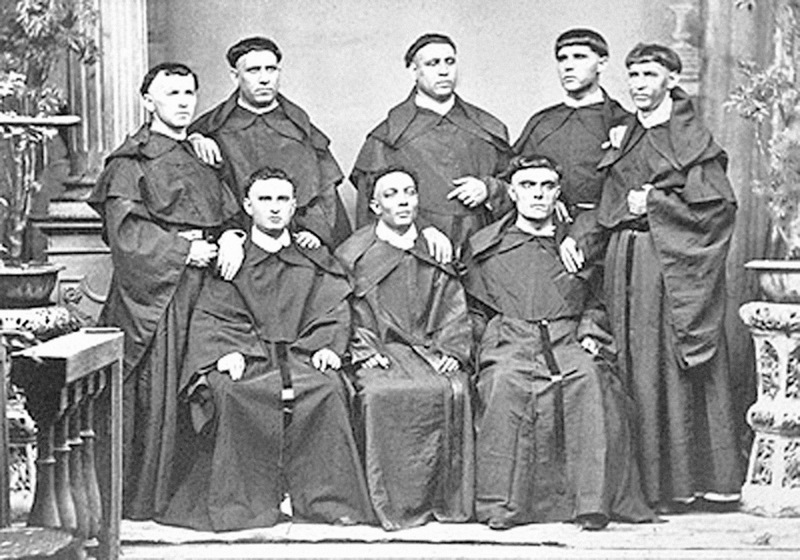 The missionaries who went with the expeditions of the would-be Spanish colonizers were the Augustinian friars. They accomplished many significant firsts in the history of the Philippines. It was an Augustinian who officiated the first Catholic mass in Limasawa (Mazua). It was also an Augustinian who baptized the first native converts of Catholicism upon their arrival in Cebu. It was, furthermore, the Augustinians who built the Santo Niño Church in Cebu. It was they who fanned out from Cebu to the other islands of the archipelago, including Panay. Th Augustinian missionaries, Fr. 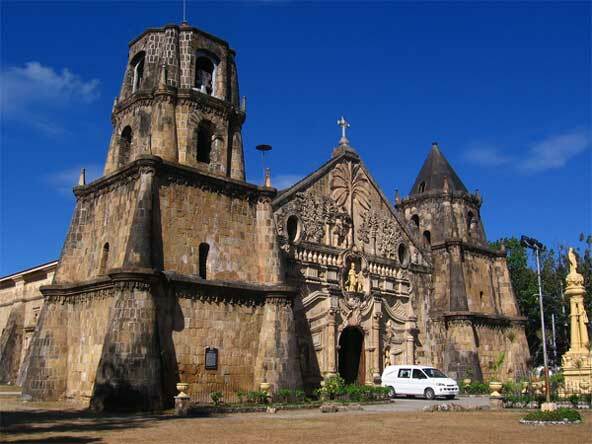 Martin de Rada and Father Diego de Herrera, laid the foundation of Catholicism in Panay in 1569. These two servants of God went with the Spanish expedition to the islands to look for a safer place due to the danger of the Dutch attacking them in Cebu. Upon their arrival in Panay, the two missionaries took in the whole island as their religious mission. Despite the initial suspicion and indifference of the Panayanons, gradually the two priests were able to stay long in Panay due to the demand for their presence in the other parts of the archipelago. Augustinians began living in Intramuros in 1571. The monastery there was designated an Augustinian novitiate on 30th March 1575 (and still serves in that capacity once again). In 1576, the first person to complete his one-year novitiate there was Juan de Penalosa O.S.A. in 1576. As had happened similar novitiates in Goa and in Mexico City, the early entrants were Europeans. In Manila, the first Filipino to make Augustinian vows was Martin Lacandula in 1590. The Book of Augustinian Professions at the Monastery of San Agustin, Intramuros lists that after 1641 (unfortunately the first book is missing) 250 native Filipinos joined the Order of Saint Augustine. For example, in 1641 there were 160 Spaniards and 38 Filipinos in the Order in the Philippines. In the history of the Philippines Province, special mention needs to be made of a number of Philippine-born Augustinians, most particularly the botanist Ignacio Mercado O.S.A. and the historian, Anselmo de San Prospero O.S.A. One of the earliest Filipinos in the Order of Saint Augustine was Brother Marcelo de San Agustin O.S.A., who died in 1697. He was a descendant of one of the original owners of the land upon which was built the Church of San Agustin in Intramuros. Father Benito de Mena Salazar O.S.A. was a mestizo from Vigan, Ilocos Sur. He evangelised the mountains of Ilocos Norte; he died in Bacarra in 1676. Father Ignacio Mercado O.S.A., a mestizo (i.e., a person with one parent Spanish and the other Filipino) from Paranaque, Manila was a botanist. He propagated cocao in Bauan, Batangas, where he died in 1698. The revolution of 1896 caused the Order of Saint Augustine its heaviest losses in the entire 19th century. It swept away much of what the Order had previously done there. In 1899, for instance, the Order of Saint Augustine was removed from 194 parishes and 100 mission stations, which were handed over to diocesan clergy. About 240 members were deprived on their income from ministry (benefice), and 122 Augustinians were captives of the insurgents.